The super-slick Mercedes GLC moves to the top of the mid-size SUV horde. Good: smart looking, spacious, well-made, good handling and ride, not overly-expensive. Not so good: no standard satnav. When something is just right, you know it pretty much instantly. That first crackle of disintegrating pastry as you bite down into a fresh croissant. That sensation of smooth, perfectly stitched cotton as you slide your arms into a new shirt. That moment when you pull yourself up into the seat of the Mercedes-Benz GLC. It may sound a touch corny, I know, but this is one of those cars that feels right from the get-go. It wasn't always thus. Mercedes' last go at a mid-sized SUV, a BMW X3 rival, was the risible GLK a car so ugly and so ordinary to drive that Mercedes quite rightly mumbled something about it being too expensive to convert to right-hand drive and promptly disavowed it from any markets where we drive on the correct side of the road. This time around, of course, Mercedes couldn't possibly ignore lucrative righty markets, and so the GLC, based on the C-Class, has been designed with the steering wheel on the right from the outset. We can be mightily thankful that it is so, because this is a seriously slick, massively impressive car. 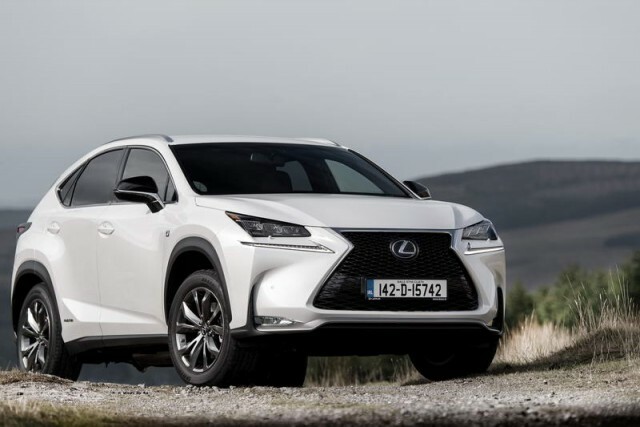 It's not perhaps grandstanding-ly brilliant in any one area, and it lacks both the exciting styling of the Lexus NX and the pin-sharp handling of the BMW X3, but it puts in such a smoothly assured performance that it's hard to see it being anything other than top of its class right now. And that's with a slightly old, slightly noisy engine. Whereas the new E-Class gets the excellent new 2.0-litre 190hp diesel engine, the GLC makes do with the old 2.1-litre 170hp unit for the 220 d. It's hardly a terrible engine, but when Audi can deploy a 2.0-litre diesel of such refinement that you live in constant fear of picking the wrong pump at the fuel station, it's a little disappointing that the GLC has to make do with an engine of such obvious clattering and rattling. To be fair, it's quieter here than it is in the C-Class or the old E-Class, but in comparison to the new 2.0-litre it's a long way short of best. Thankfully then it makes some amends with punchy performance (8.3 seconds to 100km/h used to be hot hatch territory, so for a family SUV, that's brisk) and displays good day-to-day decent economy. Merc quotes 56mpg on average and we got commendably close to that over a mixed week of driving. One odd thing to note - the new 9G-Tronic nine-speed automatic gearbox shifts between ratios with an eerie smoothness, but ninth is set so high that even at 120km/h on the motorway, the GLC seems to prefer sitting in 8th. Top is for derestricted German autobahns only, perhaps? You won't mind too much from inside though, as the GLC shares much of the C-Class's cabin and fixtures and is a really lovely place in which to spend time. Aside from the fact that the central infotainment screen is (a) not a touch screen and (b) looks to have been stuck to the top of the dash with a blob of Blu-Tac, the cabin exudes class and comfort in spades. Space in the back is good and the 580-litre boot should be adequate for pretty much all needs. The Artico 'man-made leather' on the seats should look and feel fake and tacky, but actually it's fine and the seats themselves are wonderfully comfortable. Better yet, Mercedes seems to have abandoned the tawdry back-page-of-the-Carnoisseur-catalogue white dials that it uses in the GLA and has instead put some classy and expensive looking white-on-black clocks in the GLC. Much better. To drive, the GLC is in some ways a little unremarkable. It lacks the steering vim of the X3 - or the smaller BMW X1 for that matter - and can sometimes feel a little distant. You also need to upgrade to the expensive Airmatic air suspension to achieve maximum comfort levels. 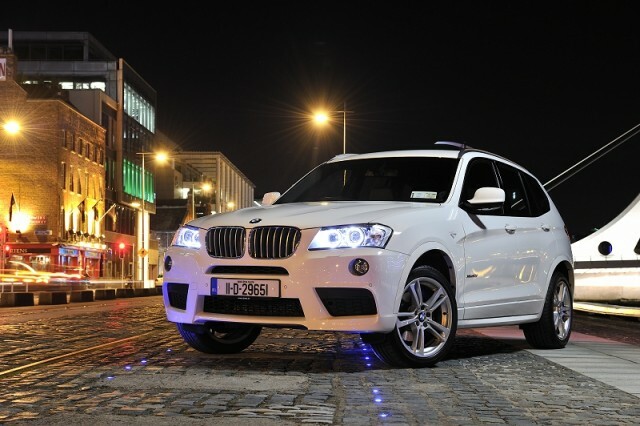 But spend some time with the GLC and you start to realise what a good blend of comfort, agility and poise it displays. It can, as with most of its breed, get a touch jittery around town, but on the open road it is fluid and fluent. The steering never displays an awful lot of feedback, but it feels positive enough and is well weighted. Body control is excellent, so you'll only very rarely catch the GLC taking a good, deep lean away from the apex of a corner. In common with most Mercedes, and in particular with the C-Class that shares its chassis, the GLC is one of those cars that just impresses more the more time you spend with it and the more questions you ask of it. You may consider it slightly expensive. Our test car carried a €56k sticker, and it's true that a mechanically identical C-Class Estate could be had for significantly less, and that you don't even get standard satnav for that €56k. Still, when Ford is asking more than that for a Sport-spec Edge, perhaps the GLC doesn't look like too bad value, really. BMW X3 vs. Mercedes-Benz GLC 220d 4Matic: more engaging for the driver than the GLC, but its styling isn't as smart and it's not as comfortable. Lexus NX vs. Mercedes-Benz GLC 220d 4Matic: striking styling, high tech hybrid and build quality good enough to make the Merc feel like a Dacia. 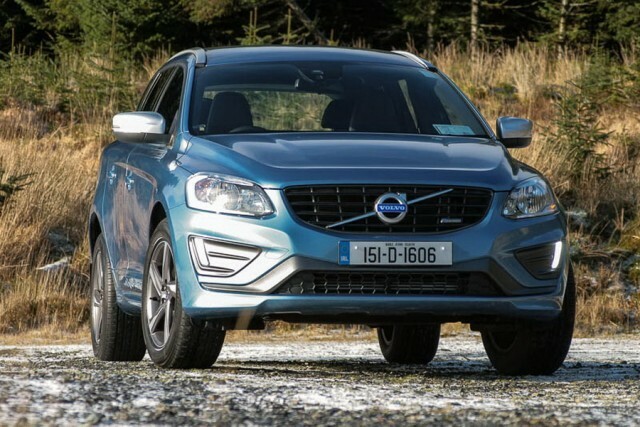 Volvo XC60 vs. Mercedes-Benz GLC 220d 4Matic: typically understated Swede with high-quality cabin and an excellent 2.0-litre diesel engine, but a faint lack of space inside.